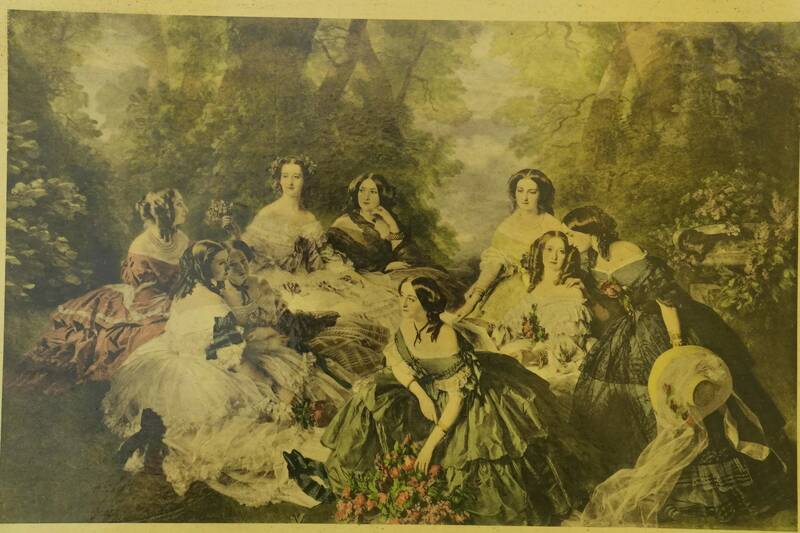 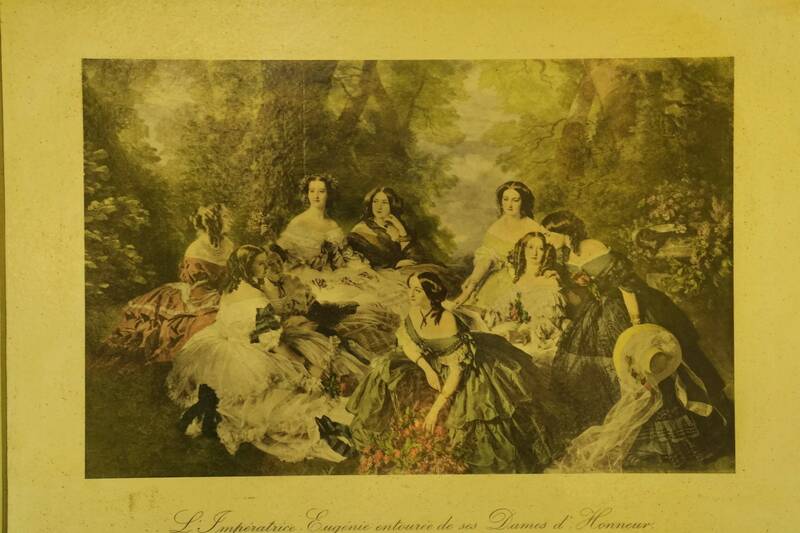 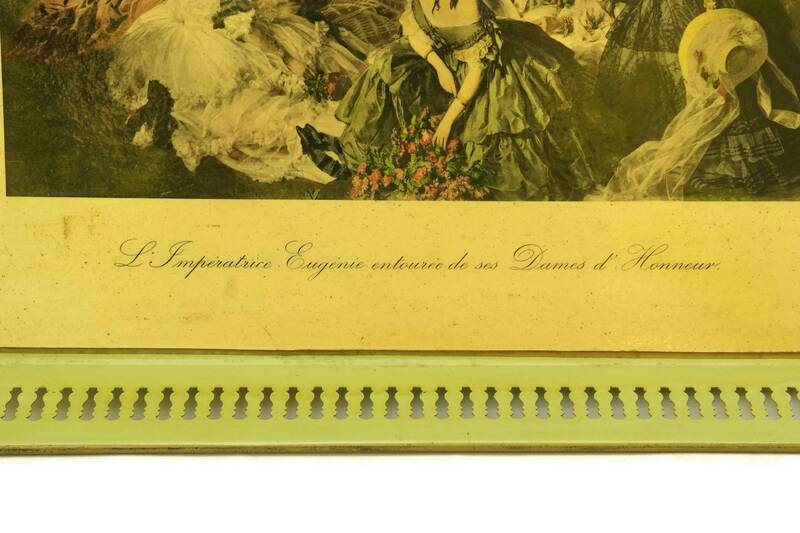 A charming vintage French tole serving tray featuring a print of the French Empress Eugenie with her ladies in waiting. 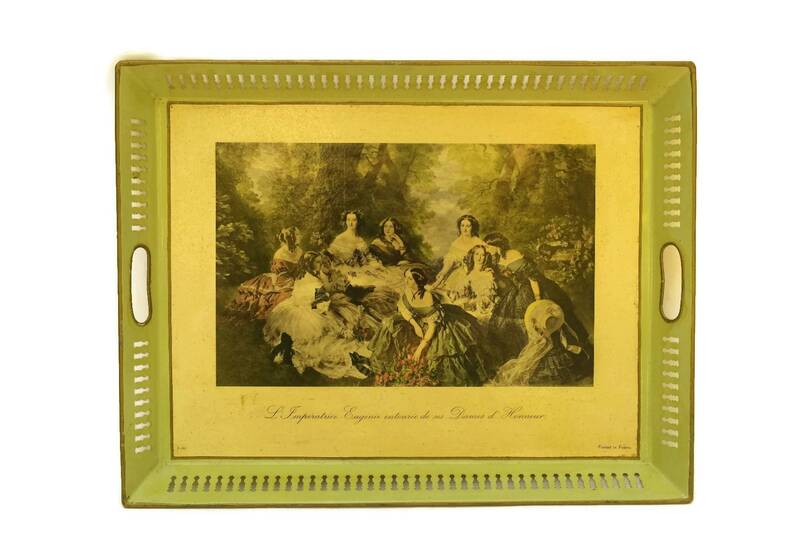 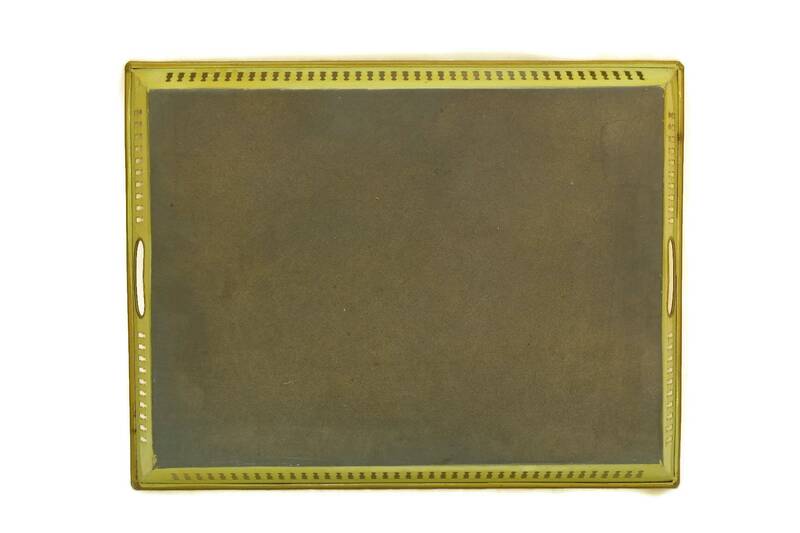 The large rectangular serving tray has been painted in a classic shade of pale green with gold highlights. 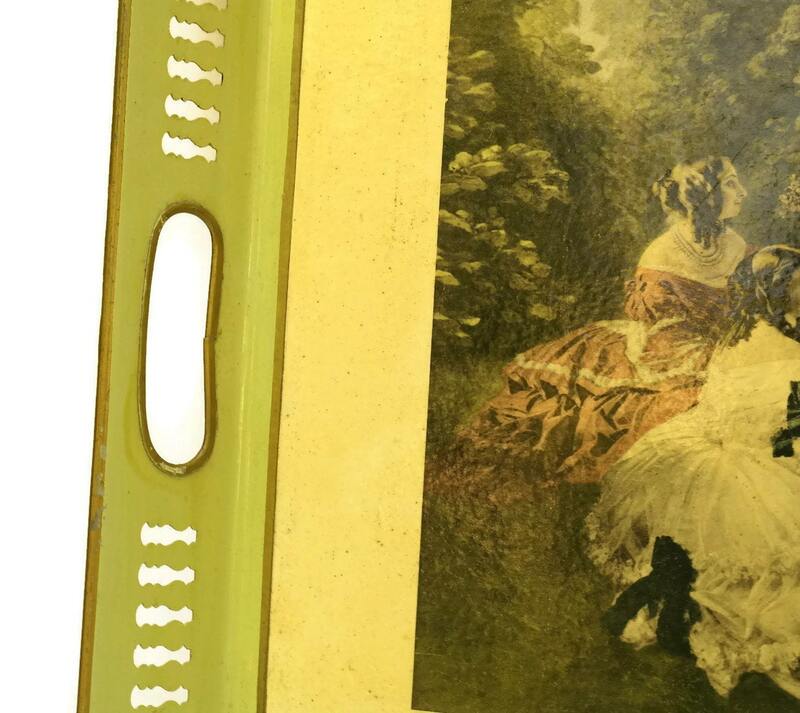 The raised sides have an elegant cut-out lozenge pattern and there are two carrying handles. 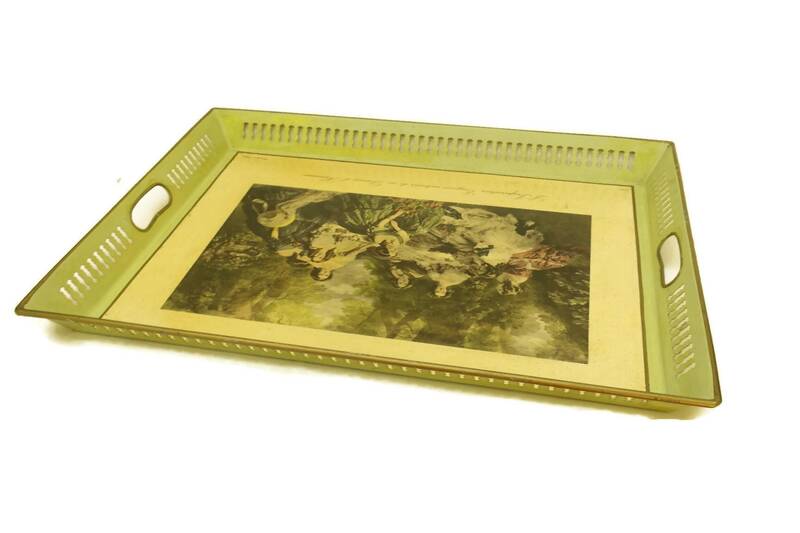 The center of the tray has been decorated with a reproduction print of a famous painting by the artist Franz-Xaver Winterhaltern. 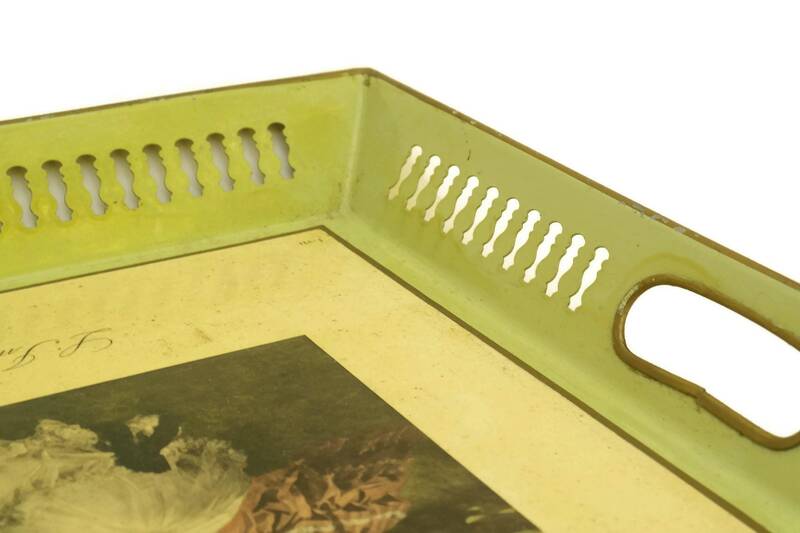 The underside has been lined with a protective felt layer. 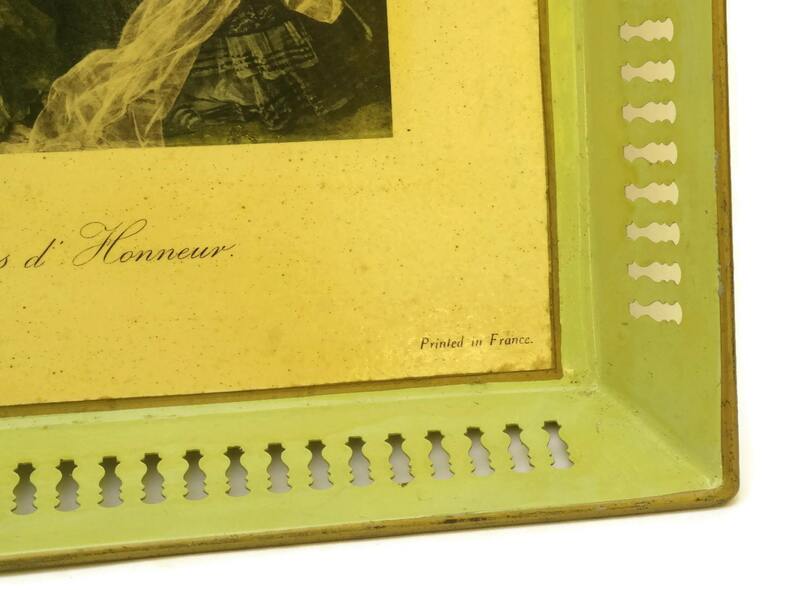 (43 cm x 33 cm x 5 cm). 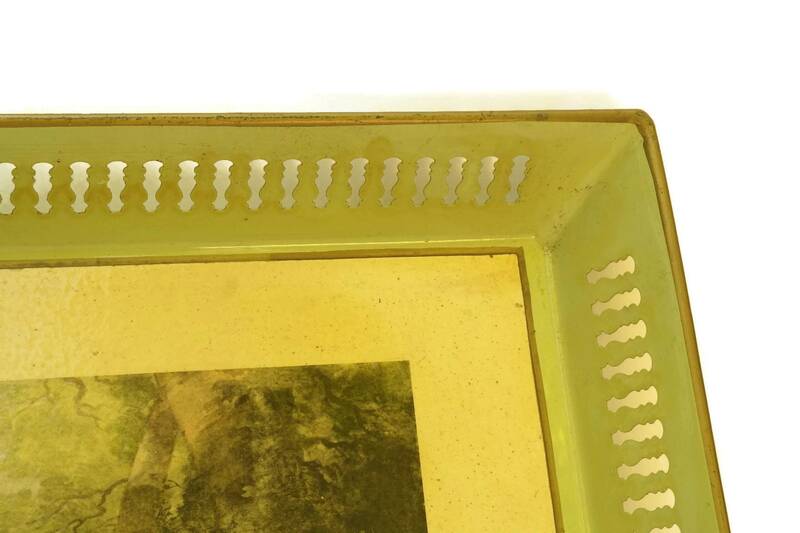 The romantic tole tray is in very good condition with some light signs of wear and age.